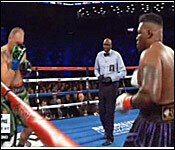 As we told you two weeks ago, Belizean - American Jarrell Big Baby Miller is fighting for the World Heavyweight Title. The fight is now all set for June first at the Madison Square Garden in New York City, which is Big Baby's adopted hometown after leaving Belize at the age of eight. 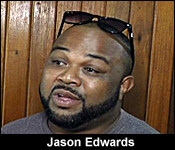 "Its very important that we as Belizeans get behind him. 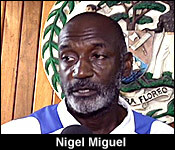 He has always represented Belize on all his fights. Represented Belize as much as he could. He was here in December eating salbutes and gachos and stuff like that. So this is big for Belizeans and we need to unite and let's trump behind this big." "While his techniques is incredible for a man his size, the thing that you can't measure is his heart and determination and that's what he takes into the ring. I like his chances, granted this man Joshua is the champ, but I think that he will surprise the world and he will represent Belizeans proudly." "As we speak right now we are talking with the ambassador to New York Mr. Longsworth to work together to do something along with Jarrell and I believe that this is going to be epic for us and we need to find avenues and ways to help him. For example, the information about the tickets are not out as yet, but as it gets out the Belizean public will be the first to know, because we are planning to do a lot of drumming and a lot of Belizean party behind him leading up to this fight." "He is a incredible brand ambassador and hell of a pitch man, so when you see how Belizeans can get involved from a corporate standpoint this will be the most cost effective way to get your brand out there internationally and from a social standpoint we will be putting packages together to get folks that want to come see the fight, that want to stay a couple days in New York and associate and get together with Belizeans, because we are going there strong." The two are headed to training camp in Florida shortly. Big Baby has said this will be an intensive training session and he hopes to make fight weight at 290 pounds. No matter how many times you say it, it still sounds unbelievable: On June first, a Belizean, Jarrell "Big Baby" Miller will be fighting for the world heavyweight title. But it's real and for those Belizeans who want to witness history, tickets are now on sale. His local business manager, Jason Edwards tells us that tickets for the big bout are now for sale at ticketmaster.com and you can use the promocode "BigBaby." The hype and the coverage for the fight are building world wide - as it will be the first title defence in the US for current champ, Anthony Joshua. As the marketing picks up steams, Big Baby's value as a pitchman continues to come to the forefront. Today at the Madison Square Garden in New York, Belizean American, Jarrell "Big Baby" Miller faced off against the World Heavyweight Champion Anthony Joshua in a promotional press conference for the June first bout. If you looked closely, you probably saw the Belizean flag at stage left. In his response, the champion, Anthony Joshua later said, quote, Jarrell can't beat me. Not even on his best day. He's just a challenger."